At our Paradise Valley dental office, Dr. Kidess, a Paradise Valley dentist and her dental team, are fanatics about making your every dental visit to your Paradise Valley Dentist a fun and relaxed experience. 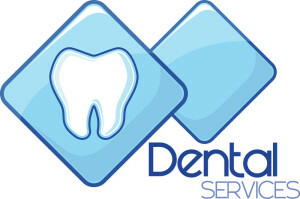 Our goal is to always provide you with the best Paradise Valley Dentist experience. From preventative care to Complex Full Mouth Reconstruction cases, every patient is an important member of our dentist Scottsdale AZ family. Dr. Kidess, a Paradise Valley Dentist, is proud to provide the ultimate in technology and treatment techniques so that we can treat almost all of your dental needs right here at our dentist Paradise Valley AZ office. There are many dentists in Scottsdale AZ, but how many can boast that their Paradise Valley Dentist team has over one hundred years in combined clinical experience? Here at Dr. Kidess’s, we can definitely say that. So, rest assured, that with Dr. Kidess, you are amongst experienced dentists Paradise Valley Dental professionals. Our knowledgeable dental team will treat you with ultimate care, empathy and service and give you the kind of Scottsdale dental care that you need. More on Paradise Valley Dentist Reem Kidess.